A good dialogue is rewarding – and leading one requires practice and repetition. 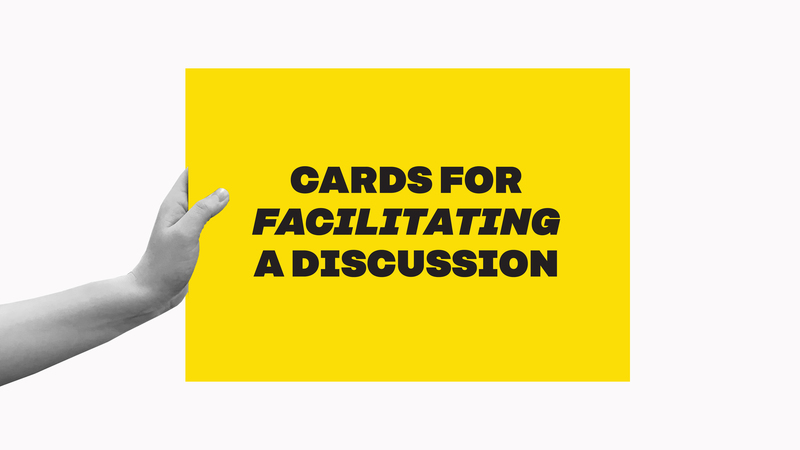 The cards for facilitating a discussion will provide you with tips and phrases for leading a dialogue. First learn to master a few leading methods, then expand your knowledge discussion by discussion. Start from yourself and learn to be both an expert listener and discussion facilitator. Tuning into the discussion, creating an encounter on an equal basis and the right kind of ending are important in every discussion. Also, think about the situation preceding the discussion. For example, are there tensions between the participants and do you believe someone will dominate the discussion? In these situations, you should study the conversation cards with advice for tough situations especially carefully.